We are a excellent supplier,manufacturer and exporter that specialized at Boba Pearls.Most of our products are exported overseas, we have made it possible to produce products with much more quality,support and affordability for our customers.Moreover, your own design provided are welcome and we believe that a trial order would convince you that the products we are offering are the excellent value for the market.We welcome orders for our own line as well as ODM/OEM orders from small and large customers. 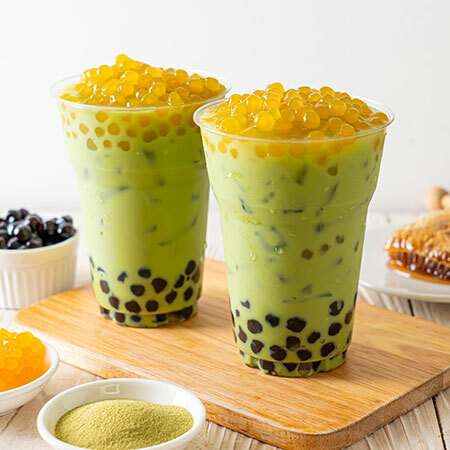 Frozen Tapioca Pearl is one of our latest and most promising products in the year, it comes in many flavors and to be put in the microwave oven or hot water within one minute and to be ready to serve! This kind of effectiveness is fit for many coffee shops, restaurants, and convenient stores, also it's without preservatives and nature fruit ingredients are massively used, it'd be a brand new star of your products !